This week, I’ve decided to do something a little different. Today’s post will be the first in a five-part series that has been in the works for quite a while, and will delve into the philosophy of aesthetics and how it relates to the fountain pen world. This won’t be for everyone: there won’t be any economics, but there will be plenty of art, history, linguistics, and philosophy. As the full length of this essay will be substantial — around 7000 words — I’ve decided to serialise it, with a post each day for the next week. On Saturday, I’ll merge everything together as one contiguous post and re-open the comments. It has been enormously satisfying to research and write this series; I hope you enjoy it just as much as I have. 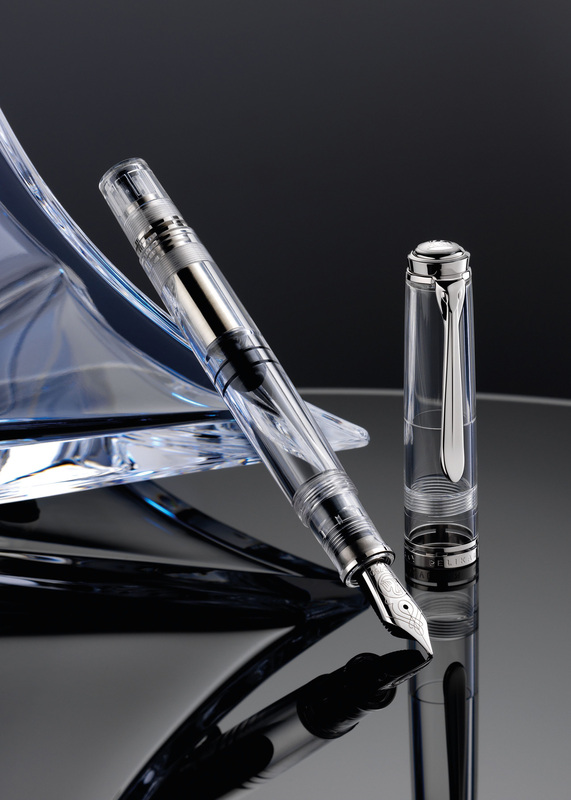 Some of you will be aware that I reserved one of the new, limited edition Pelikan M805 demonstrators a few months ago. The preview pictures were released around the same time as the Stresemann and didn’t get the same amount of coverage, but they were truly gorgeous. I’ve been wanting a nice, gold-nibbed, piston-filling demonstrator for at least a year and this really fit the bill. It was exactly what I wanted, and the perfect way to celebrate a year since I got the nod and became Dr JD. Months later, the pen finally shipped and I was filled with anticipation. There weren’t any photos on Instagram or the blogs (which heightened my excitement) and, after what seemed a lifetime of waiting, I had the pen in my hands — and the excitement completely fizzled out. I wasn’t sure why. At first, I put this down to an issue with the nib: I had first filled it without cleaning and found that it wrote far too dry for my liking. After cleaning and soaking the nib, I had it writing like a Pelikan should, but it became obvious that there was still a problem. It wasn’t a problem with the pen per se: everything was working properly and the pen was exactly what I hoped it would be. It just felt…funny. I felt disappointed. The pen languished in the box, I felt no excitement or enthusiasm for it. Eventually, I accepted that there was nothing that could be done, I grudgingly put the pen up for sale. When selling a new pen, the most common thing you hear (aside from absurdly low offers) is people asking the question of why you are selling the pen. It’s never meant in a negative way; most people just seem curious about whether there’s something wrong with it, and the best I could do was to explain that the pen just wasn’t for me. This response seemed to satisfy people but it certainly didn’t satisfy me. It was an honest answer, but it didn’t feel honest. It didn’t feel authentic. It was just convenient, something which hid my deeper confusion. I simply had no idea why it had been so unsatisfying. The pen was excellent in many ways: the design was magnificent, the materials and construction flawless, the piston operated smoothly and firmly, the rhodium nib was beautiful, and it fit comfortably in my hand. It was, in every way, the pen I had wanted and yet it was also deeply disappointing. Yet despite thinking about it for hours on end, despite watching and reading every M805 review online, I could not put my finger on what was wrong. It was an issue that worried me. If I couldn’t understand what was wrong with the M805, then how would I know if the next purchase would suit me? How could I know that any pen was right for me? It made me wonder if maybe I was starting to lose interest in fountain pens. The questioning (and the worry) threatened to become an existential crisis. Eventually, I forced myself to think through the problem logically. It wasn’t a physical or mechanical problem with the pen. I continued to use (and love) my other pens, so it probably wasn’t a problem of lost interest. The only explanation was that it was something about the pen and my reaction to it: the problem was something aesthetic. Trying to understand the problem has led me into the philosophy of aesthetics, the field that tries to understand beauty and our appreciation of it. Reading more deeply about the field has given me the opportunity to think about pens, our experience of them, and our community, and some insights that might help us better understand the relationship between these three. In this series, we will delve into aesthetics (and some related fields) and try to understand something which is holding us back and the potential for change. Tomorrow’s post will discuss Wittgenstein and the world of 6,000 years ago, and how it can help us understand the problem that we face today.